Atari have announced they are introducing real money casino games to their line-up. The brand certainly has some retro coolness, though the big question for me is whether the titles will live up to the fond childhood memories many of us have for the games… or will 2 minutes of playing be enough to convince us that the memory was better left undisturbed. I have not yet seen the games, which are themed around some of the iconic titles in the Atari games portfolio. These are created in partnership with software provider Pariplay. I headed over to their site to try out some of the existing titles. They are reasonable, quick to load and have some nice attention to detail in their graphics and setup. Compared to just about any real money casino nowadays, these titles also felt blocky and kind of basic. I’d say they were more like something you might find on a Facebook game, or free flash arcade than a serious contender. Putting Tokyo knights, or Tiki Madness (2 Pariplay titles) next to a PlayTech Marvel title or the latest NetEnt games would be live comparing Atari’s original Space Invaders with GTA 5. Then again, I have not seen the actual games yet, so I’ll reserve my final judgment until that time. The positive thing from the perspective of the casino industry is that the link to a big video gaming ‘name’ helps the public realize that casinos have become a legitimate entertainment genre these days. Scratch Cards, Slots, Keno and a ‘variety of other casino style games’. Based on classic titles including Asteroids, Star Raiders, Centipede and Pong. 25 / 243 Payline slot in the package (based on Star Raiders) + Asteroids Scratcher. 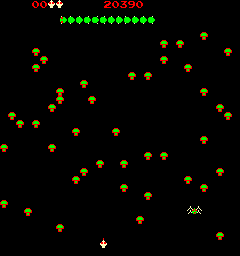 You can find out more over at Atari.com, now, anyone for a game of Tank?